The District is teaming up with Republic Services and other partners to bring waste reduction, recycling, and composting to our campuses. The District's Expanded Recycling Program is implemented to satisfy new California recycling mandates and to produce a greener LAUSD by increasing waste diversion, reducing waste costs, educating students, faculty, and parents on the benefits of recycling, and training maintenance and cafeteria staff. The program is geared to encourage the entire school community to reduce, reuse and recycle. 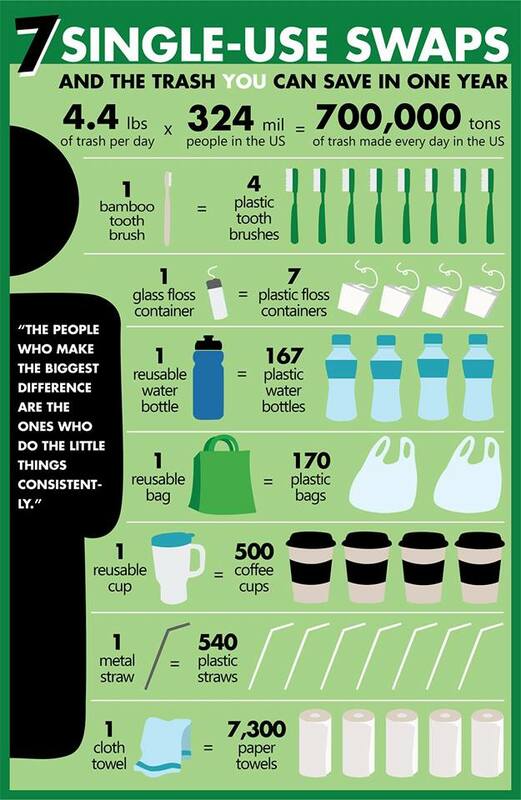 ​Below are ways that your school can help the District meet our landfill diversion and waste reduction goals. 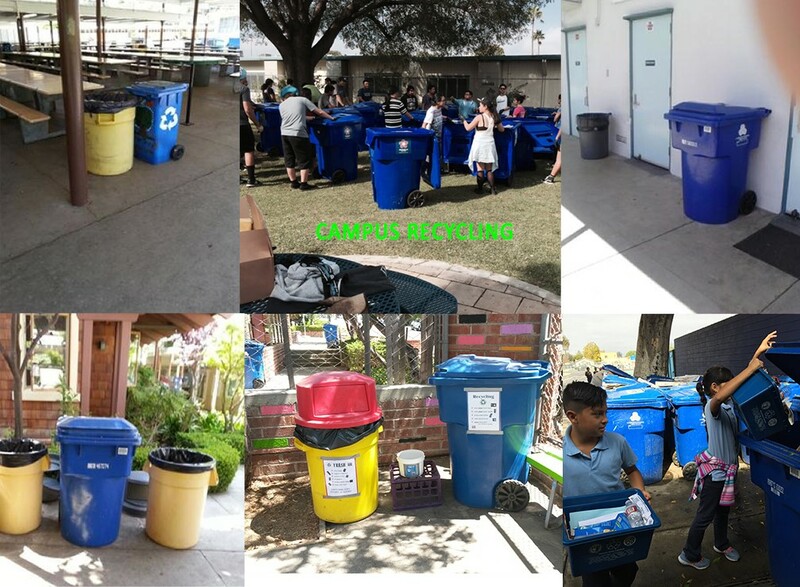 If you are interested in having a Recycling Trainer work with your school, please contact OEHS at 213-241-3955. The lunchtime program is designed to train and assist Principals, plant managers, faculty, staff and students in recycling materials during lunchtime. A waste station is set up in the lunch area using existing school infrastructure to collect and sort trays, liquids, milk and juice containers, CRV, and mixed recyclables. Schools can also take part in composting, food sharing, and donation programs to reduce food waste on their campuses. Similar programs are available for Breakfast in the Classroom (BIC) and after school snack and hot supper. 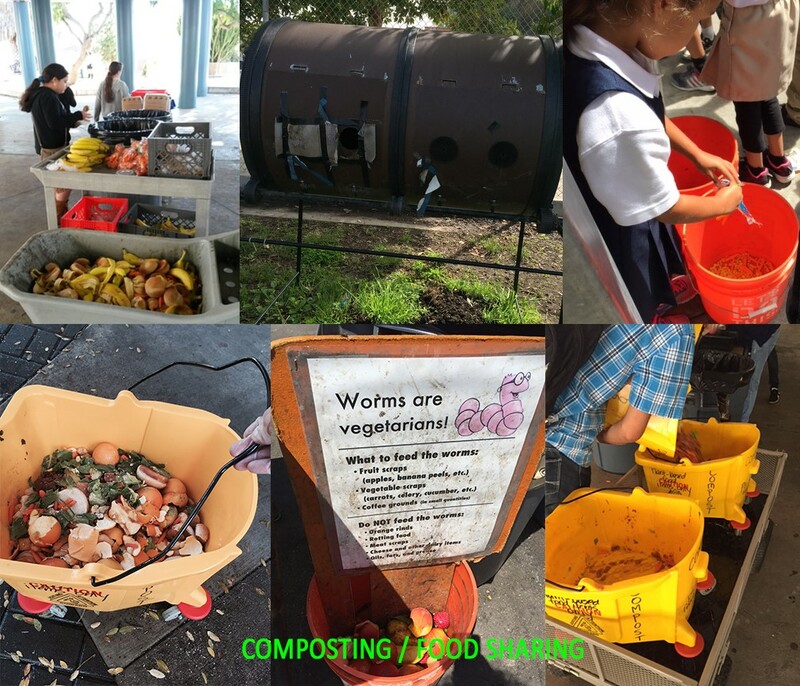 This program trains and assists Principals, plant managers, faculty, staff and students to collect and compost organics in the form of fruit and vegetables collected during Breakfast in the Classroom, lunchtime, and after school. Materials are transported to garden or existing composting bins or containers on site. Cafeteria managers and staff are trained on how to collect and recycle materials in the kitchen, including cardboard, tin cans, plastics, paper and mixed recyclables. Staff is also trained on implementation of the yellow bag recycling system in the kitchen and lunch area. Posters and signage are installed in the kitchen to remind staff of which items are recyclable. Assistance is also available to help cafeteria managers set up food donation and share programs on site. ​Your Recycling Trainer can help with set up of containers and recycling posters inside your classrooms. Containers are designed to collect recyclable materials such as paper, milk cartons, CRV, etc. Recyclables should then be transported to the blue Recycling Carts or white Recycling Bins located throughout your school. Blue recycling bins should be present in every classroom, conference room, and meeting area. Please keep track of your bins as there is a cost to replace them. Your recycling coordinator will help you post signs to remind your fellow students to recycle. 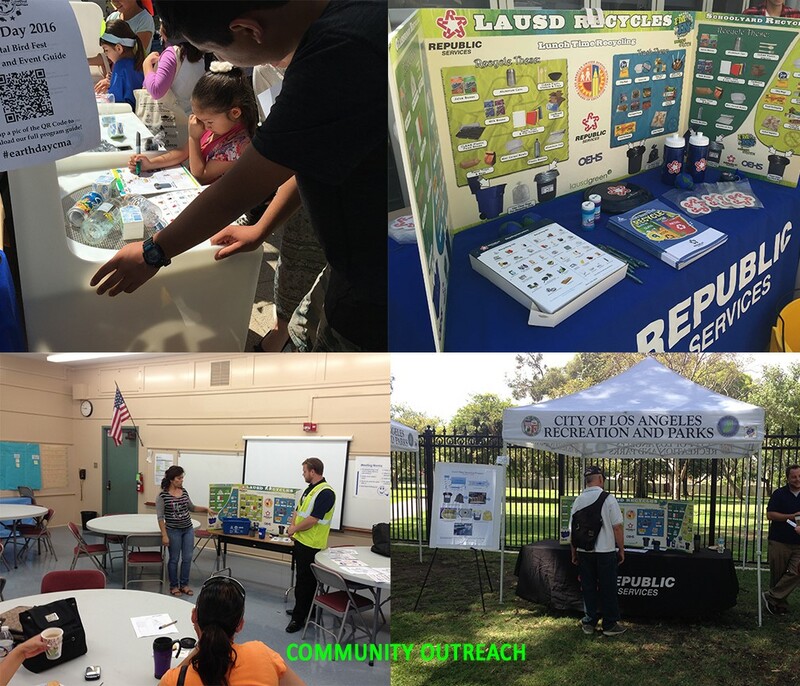 Recycling Trainers offer assistance in the set up of informational booths on the LAUSD Expanded Recycling Program at various community events. They also offer community and parent workshops on recycling at school campuses, provide support for community and school CRV fundraisers and recycling collection events, and help organize and promote regular campus clean-up events. You can request a meeting, assembly, or other assistance by contacting the OEHS Hotline. 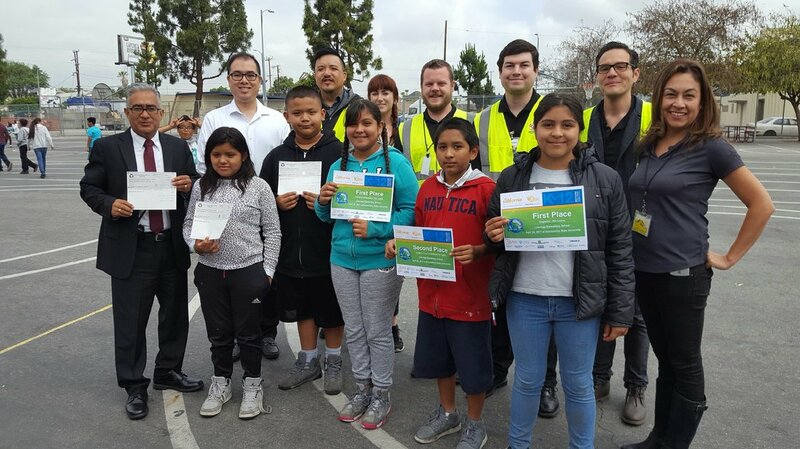 High School Outreach - "Garbology"
Garbology is student-coined term for the program that educates faculty and students on the LAUSD’s “Expanded Recycling Program” while providing real-world experience and education on the solid waste and recycling collections industry. 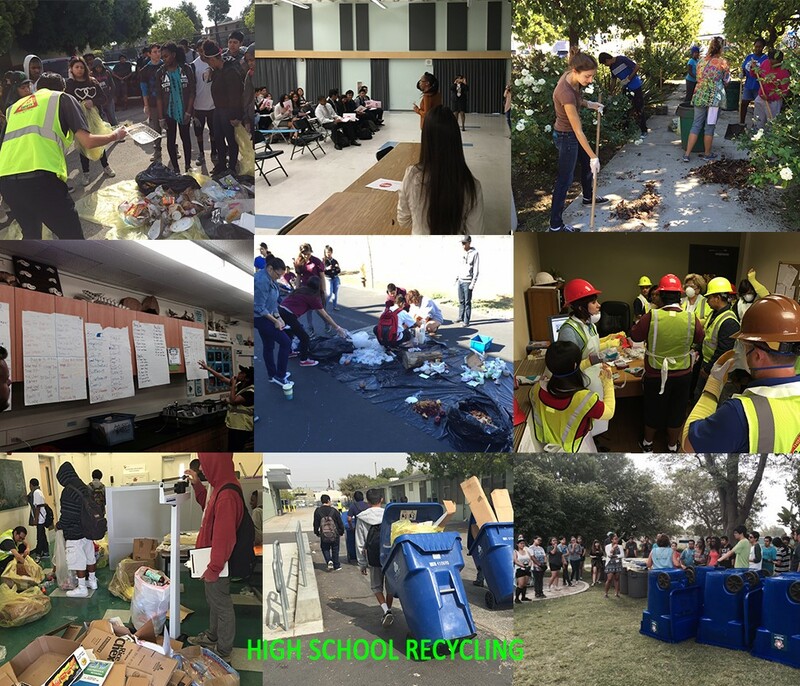 The program assists with implementation of student-run recycling programs at the High Schools in collaboration with our industry partners Linked Learning and ITEP, Tree People, and Trash For Teaching. Garbology includes classroom presentations designed to inform faculty and students on recycling, sustainability and effective zero waste practices, the history of trash and recycling collection, California state laws regarding recycling, an introduction to the solid waste and recycling collections industry, and career opportunities. 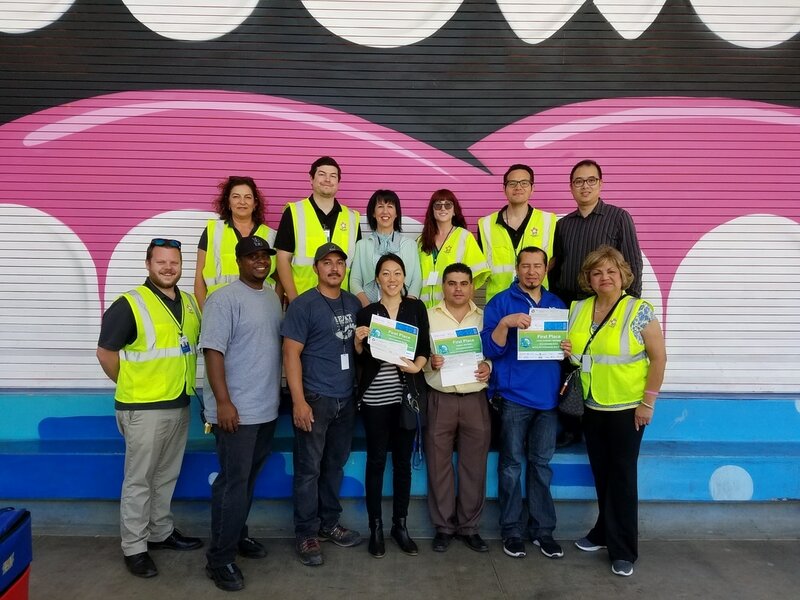 Keep California Beautiful (KCB) is a non-profit organization dedicated to alternative waste management, beautification, community networking and outreach. Each year they sponsor a State-wide competition that awards incentives to K-12 schools for participating in recycling programs. 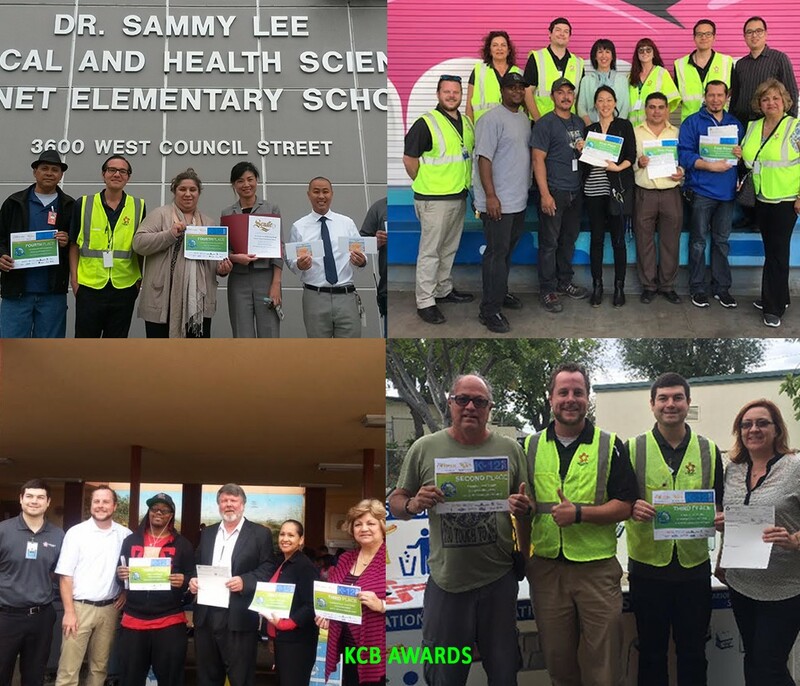 In the past few years, LAUSD schools alone have won as much as up to 50% of all the funds and certificates awarded to schools around the entire state of California by KCB. Your Recycling Coordinator can assist you in registering for the competition. Use paper products instead of plastic or styrofoam. Paper and CRV from the classrooms and offices should be placed into the in-classroom containers, recycling carts or recycling cans lined with yellow bags around campus. 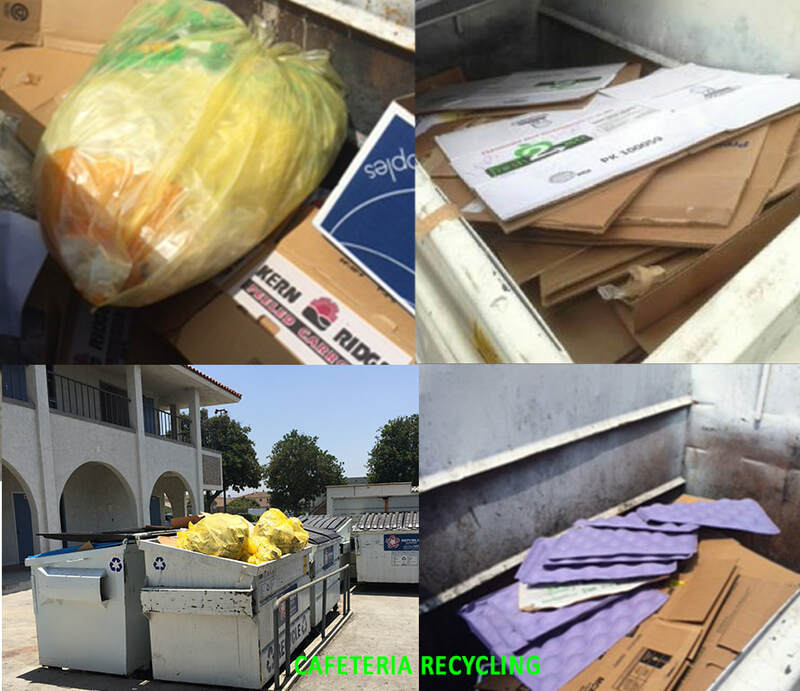 Cardboard should be flattened and placed into the white recycling bins on site. Green waste should be placed into the blue trash bins on site. BIC trays and cartons should be placed into the clear bags provided by the cafeteria when the BIC meals are distributed. ​Lunch and after school trays should be stacked on the designated flat surface for tray stacking in the lunch area. Cartons - Milk cartons from lunch are to be placed into recycling carts or recycling cans lined with yellow bags in the lunch area. Organics - If a food waste program has been established on site, food waste should be collected in the designated carts or containers on site for food waste. 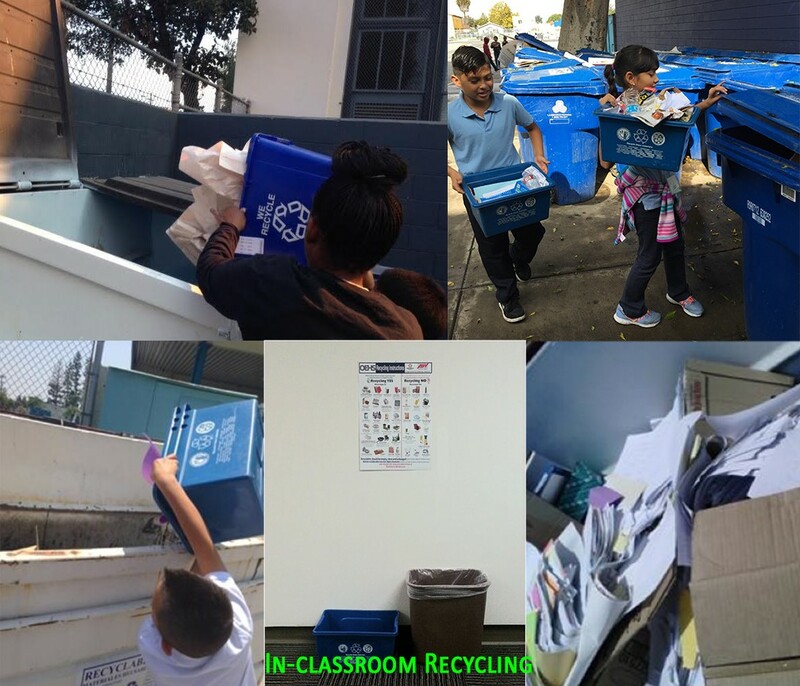 ​In the first year, we tracked and incentivized 102 schools for participating in classroom and campus recycling. 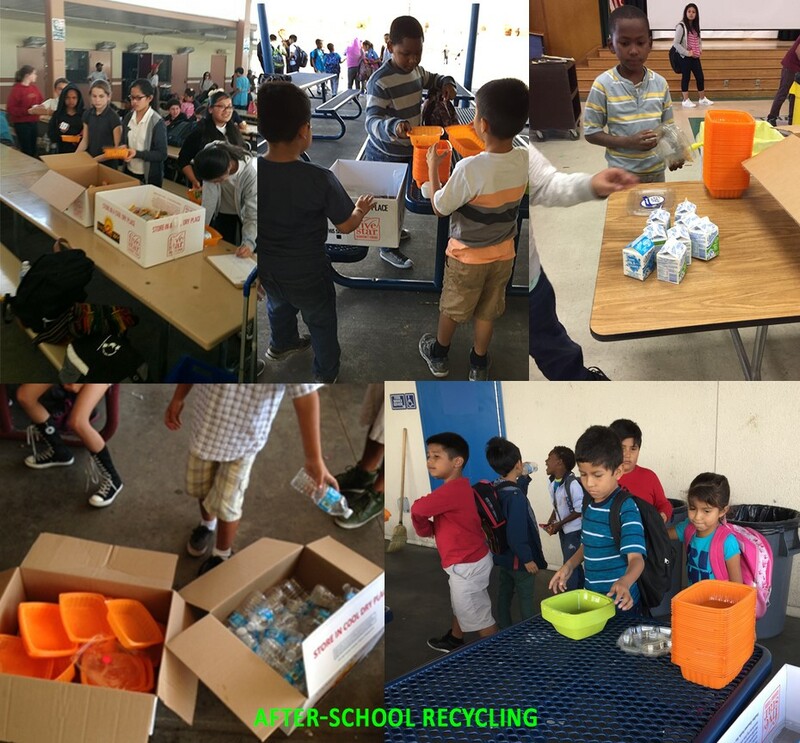 In the following school year, in-classroom recycling containers were distributed and the lunchtime sorting program was introduced District-wide. Schools were trained to track different categories of recycling and were introduced to a Full Process Lunch Time Recycling Program. In 2016, a Pilot Food Waste Program was introduced and implemented in 17 Schools. 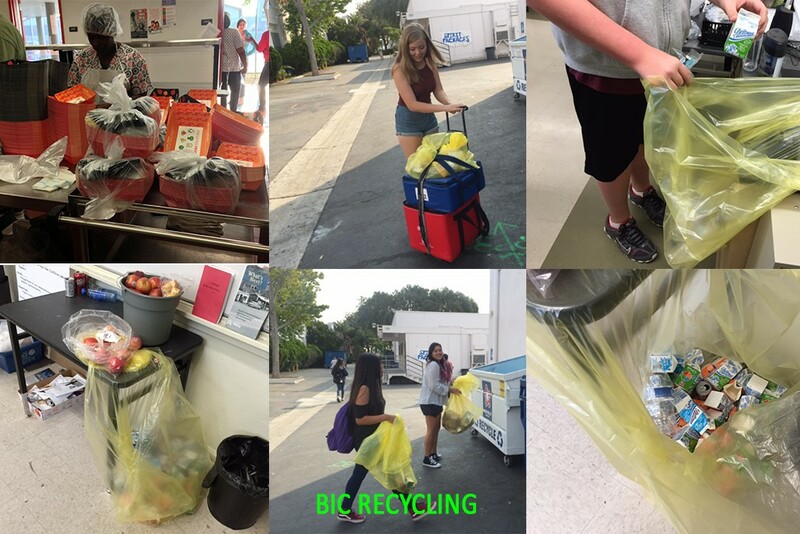 A number of High Schools participated in some Campus recycling and lunch recycling programs. 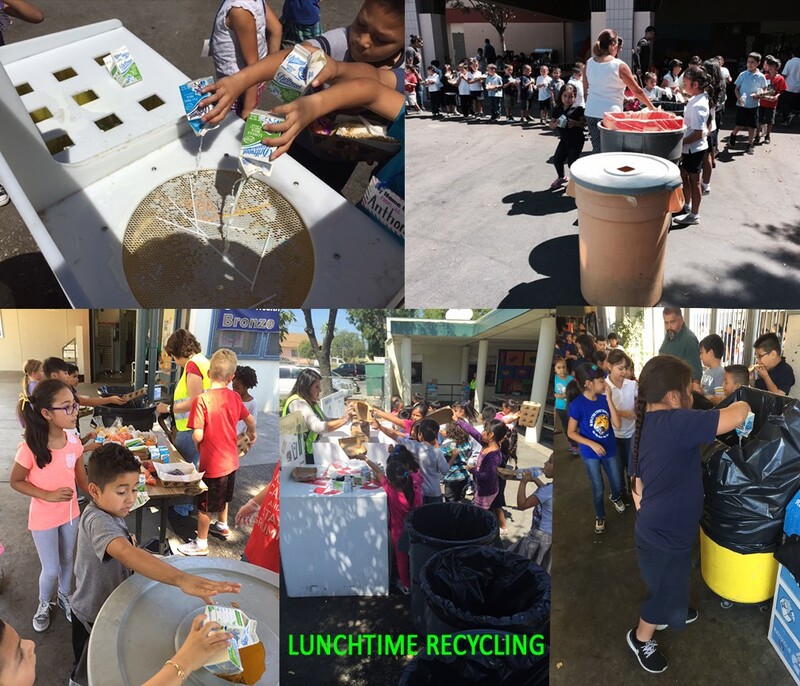 Since 2015 we have focused on sustaining the existing recycling programs in 600+ schools (over 300 schools successfully continue with a full process lunch recycling program), shifting more schools to tray-stacking and milk-pouring as well as establishing food share programs during lunch time. 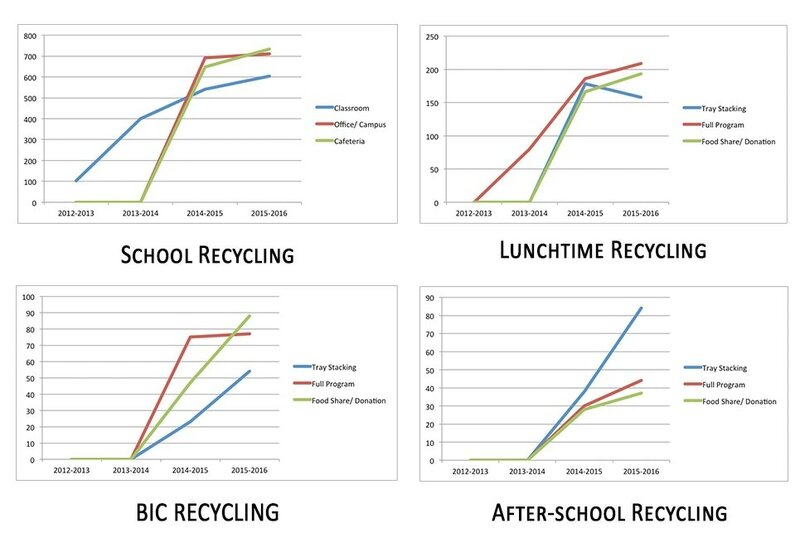 We have also increased BIC and after school recycling as a result of implementing successful lunch recycling programs in our schools. We continue to focus on increasing the number of schools subscribing to the full process lunch recycling, particularly Middle school and high schools. A Pilot food Waste program will be introduced initially to 64 schools in Local District East during the 2017-2018 school year. Once the pilot has successfully rolled out in the first set of schools, we will continue training the remaining schools in subsequent school years.